Have you all seen all the adult (why do I feel weird saying that out loud??) 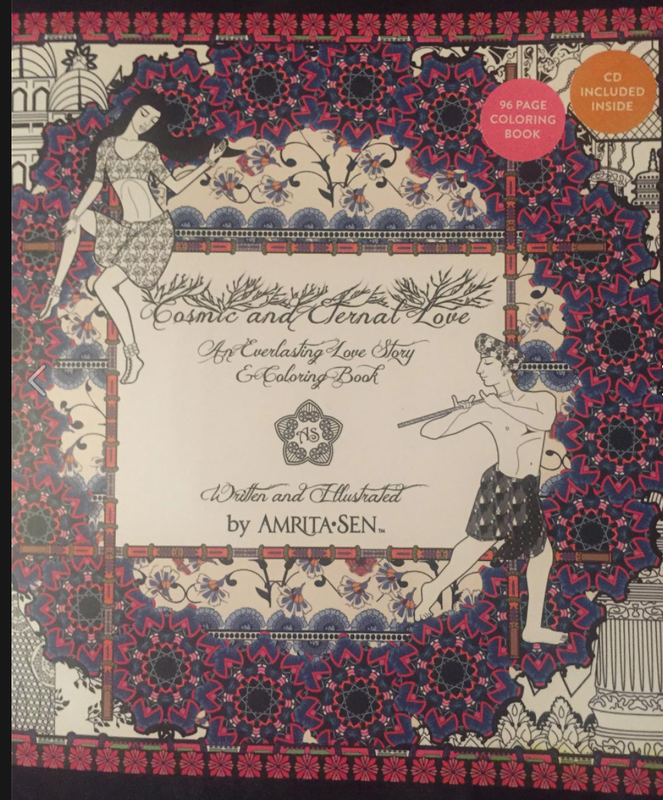 coloring books? We have a special day at my office where we get together during lunch and color. Yes, you read that right-we have coloring time! It is so relaxing! It helps us refocus and feel refreshed and ready (well, maybe not THAT ready) to get back to work. But when this book arrived, I immediately opened it and fell in love! First of all, I love coloring faces. I don't know what is more mesmerizing to me than looking at drawings of eyes. and let me tell you the art work is stunning! 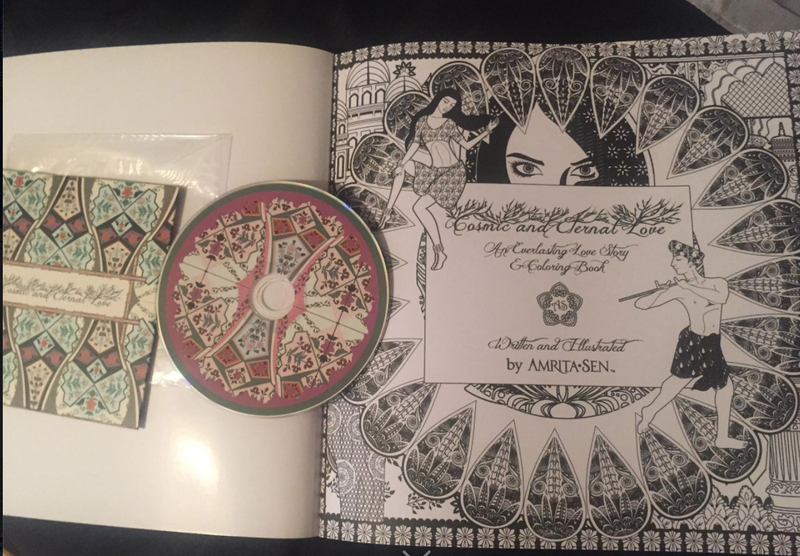 It comes with a music CD and the music is beautiful! I'm telling you you must get this combo. A page that I've been coloring. I received this book to review but received no monetary compensation. My opinions are mine. 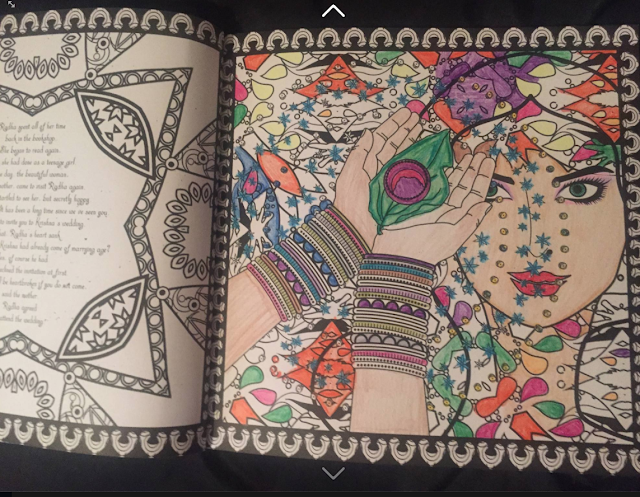 I can't wait to continue to relax with my very first adult coloring book.